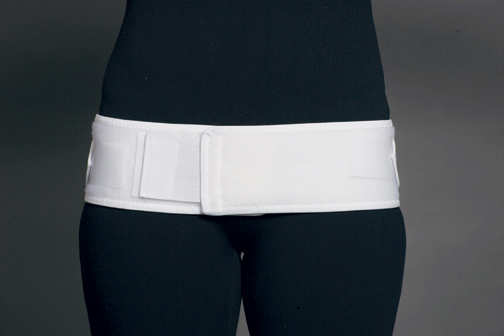 Durable, plush, 4" high 5000 closure hook-and-loop laminate body provides maximum support to the sacrum. Elastic side pulls increase sacroiliac pressure, helping relieve muscle strain and supplement abdominal muscles while healing. Easy universal sizing: Small/Med Hips 28" to 37" Large/XL Hips 38" to 47"